2. Can a Life Insurance Policy Be Rolled Over to an IRA? On the surface, the difference between life insurance and an annuity can seem vast. However, having an annuity or a life insurance policy as part of your long-term financial portfolio can make good fiscal sense, if your situation calls for it. While both provide for your financial future, they do so in different ways. Life insurance policies pay out benefits to your beneficiaries in the event of your death, whereas annuities are safeguards against you possibly outliving your nest egg. Both annuities and life insurance policies will pay out death benefits to your beneficiaries. However, unlike investments in stocks or bonds, annuities provide the peace of mind of a guaranteed stream of income that will last throughout your life. That guaranteed payout can come in handy should you outlive other investments or streams of income. Annuities are contracts with an insurance company and must be upheld by both parties; breaking the contract by either party – if it is even possible at all – can come at a hefty price. Life insurance, on the other hand, is a policy that ensures your family or loved ones are financially equipped to deal with the consequences of your passing such as the loss of your income, final expenses like burial or mortgages and other debts. Life insurance policies are similar to annuities in that you pay must pay a premium, but they differ in when and how the benefits are paid and to whom. Annuities are not “investments” per se, but rather an insurance product offered by insurance companies. Popularized during the Great Depression as people became fearful of losing their retirement income, annuities provide assurance against this with a guaranteed income stream. There are many types of annuities available, with the two most common types being deferred or immediate. You can also opt for guaranteed payouts with a fixed annuity, or you can choose a variable annuity with payouts determined by how your annuity's underlying investments perform. Immediate annuities are so named because they pay out shortly after the premium is paid. Premiums can either be made in a single lump sum or in installments, depending on the type of annuity you purchase. With immediate annuities, after you make your initial payment to the insurance company, you will begin receiving payouts with the length of time before payouts begin ranging from 30 days to a year, based upon the annuity's contractual period when you purchase it. In the case of a deferred annuity, the money you put into it is invested until the point in time you decide to take withdrawals. You can also turn a deferred annuity into an immediate annuity when you want to begin taking withdrawals. As far as which annuities avoid probate, the answer is, typically annuities do not have to go through probate because there is a named beneficiary. As with any financial-planning product, you can expect there to be pros and cons. Annuities are complicated, but do have some distinct advantages that other retirement vehicles may not. For instance, annuities are highly flexible and do not have the same annual contribution limits as, say, a 401(k) or IRA, while still being tax-deferred. This means if you have gotten a late start planning for your golden years, you are able to put more money away for your retirement, especially if you are planning to retire soon. Because you are able to put this money aside, tax-deferred, you can grow more of it until the time comes for you to begin taking withdrawals. One drawback, however, to annuities is that they often come with high fees associated with them. Annuities are sold by insurance brokers, and as a result, you typically will have to pay commission fees of up to 10 percent. Annuities also have what are known as surrender charges, which are fees that the annuitant can face for taking money out of the annuity after buying it. For example, you run the risk of a charge of around 7 percent of the annuity's value if you decide to leave the annuity after one year of buying it. This fee will generally decline by 1 percent per year for seven or eight years, at which point the surrender fee will be zero. Depending on the type of annuity, you could find yourself facing a much steeper surrender charge of up to 20 percent if you leave in the first year, and if you have a variable annuity, you will also have annual fees to contend with. Although there are two main types of life insurance plans, whole or permanent and term, there are several different types that fall under these two umbrellas. Life insurance policies are there to protect your children or anyone who depends on you for financial support in the unfortunate event of your passing. Term life policies are valid for a specific period of time, or term. If you outlive this term, usually a period of 10 to 30 years, then your beneficiaries will not receive any death benefits; however, you have the flexibility of opting for more permanent coverage later on. Whole or permanent life insurance policies are in effect for the remainder of your life, provided you don't allow the policy to lapse. Under whole life insurance, you will find universal and variable universal life policies that vary in the amount of risk the policyholder assumes. Universal and variable universal life insurance policies take the cash value within the policy and invest it in mutual funds. While this can lead to gains, it can also lead to a loss as experienced by holders of these types of policies during the 2008 stock market crash. Because of this, these types of policies are not as popular as term or whole life policies as many policyholders are not willing to assume the extra risk. One upside of life insurance is that you won't have to pay any taxes on the money until you go to make a withdrawal. Depending on the type of life insurance policy you have, you can also borrow against its value. If you pay this loan to yourself back, then you can expect to receive your full death benefits. Like annuities, the underlying assets of life insurance policies are tax-deferred, however, also like annuities, they can come with hefty fees associated with them. 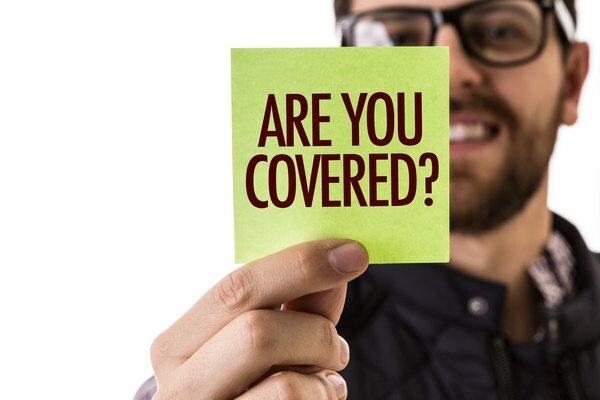 The yearly premium on your life insurance policy goes to maintenance or administrative fees, and the end result is some policyholders letting their life insurance policies lapse as the burden of their upkeep becomes too great. Mason Finance: What Are the Different Types of Life Insurance? Legal Zoom: How Do Annuities Avoid Probate? "Difference Between Fixed, Indexed & Short-Term Annuities"
Can I Deduct My Surrender Charges in My IRA?